We agree that the name is new but the talent is not. Rita Daniela isn't a newbie in the wonderful but oftentimes crazy world of local music. She is the repackaged Rita de Guzman Iringan who wowed us all when she became the grand champion of the 2005 singing search Popstar Kids. She has blossomed into a woman 10 years later, pouring more heart and sultriness into her songs. I had such a great time when GMA Records invited bloggers to the launch of her music video for her new original song "I'm Flying High". The word "original" there must be emphasized. It still bothers me why we revive so much music. Rita's album is a great reminder that we have a new generation of talented songwriters. Before we talk about the "Flying High" music video, I urge you to look for her songs on YouTube. My favorites in her self-titled album are "Di Lang Ikaw" (Link here) and "Hahanap-hanapin Ka" (Link here). These songs may belong to two different genres, the first one has the more youthful, radio-friendly vibe while the second song is the traditional Filipino ballad, but you will notice that they are connected together with that one thing - Rita's own sound. Rita is never shy. She deserves the confidence with that massive talent. 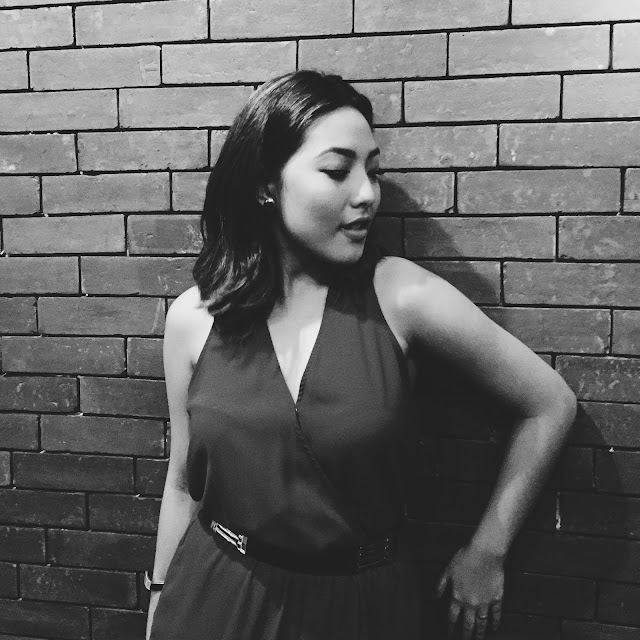 I directed her to this wall at the other end of Off The Grill in Timog and she came up with this pose. Diva in the making! 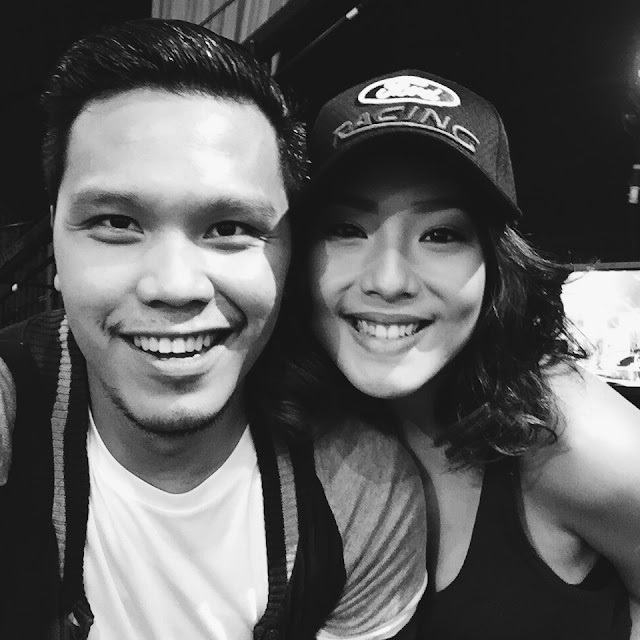 Selfie with the girl of the hour while rehearsing for GMA's Sunday variety show Sunday All-Stars a few weeks back. 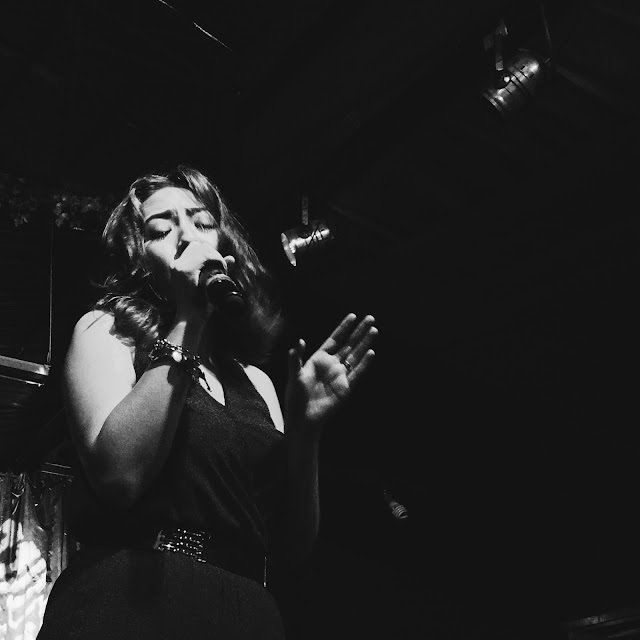 In a crowd of outstanding singers, Rita is carefully crafting her own sound to differentiate herself from the best female vocalists in the local music industry. She is capable of belting, definitely (I saw it with my two eyes when she sang "The Prayer" at Thea Tolentino's debut party), but she decided to make her music more relatable to the youth these days. The same music lovers who enjoy the "Nae Nae" song ("Drop That #NaeNae by We Are Toonz) but also appreciate a great love song. Then we have "I'm Flying High" which is more upbeat than "Di Lang Ikaw". She knows you enjoy a little Beyonce, J.Lo and Zedd maybe and she's joining the party with an original music. My first impression after watching the video is that it's world-class. I have had some free time which I spent watching MTV and MYX and I know that this video is tops! The choreography alone is dubsmash-worthy.